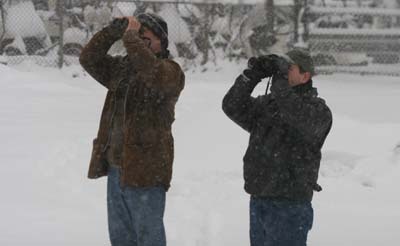 After exploring Van Cortlandt Park we three intrepid birding bloggers headed through the snow and traffic to Pelham Bay Park, which, at 2,700 acres, is the largest of New York City’s many parks. Our goal was to see as many species of owls as we possibly could and we felt good about our prospects as we had relatively fresh location information about three species from someone who should know. Visions of checklists with Great Horned Owl, Northern Saw-Whet Owl, and Long-eared Owl checked off were dancing in our heads but, as the title of this post makes clear, owls were not dancing nor doing anything else in our binoculars’ field-of-view. Once we arrived at Pelham Bay Park we first checked every evergreen tree in the vicinity of and between the golf course and the Bartow-Pell Mansion Museum. Let me tell you, there were quite a lot of trees. Not only that, but to be sure we weren’t missing any owls we had to carefully peer up into each tree and examine every single branch, which meant quite a lot of snow falling on our glasses and in our eyes. And, whenever a lump in a tree looked like it could be an owl, we, of course, put our binoculars on it and got them all loaded with snow as well. It wasn’t the best time I’ve ever had while birding. One would think that there would at least be other birds around to watch while we looked for owls but there were hardly any (birds apparently are smart enough to hunker down when the weather’s bad). Sure, Mike and Charlie managed to find a Fox Sparrow and all three of us watched a single foraging Rusty Blackbird become a flock of fourteen (how thirteen blackbirds managed to hide in white snow I’ll never know), but those two species plus some European Starlings and a Mourning Dove didn’t exactly make up for the absent owls. 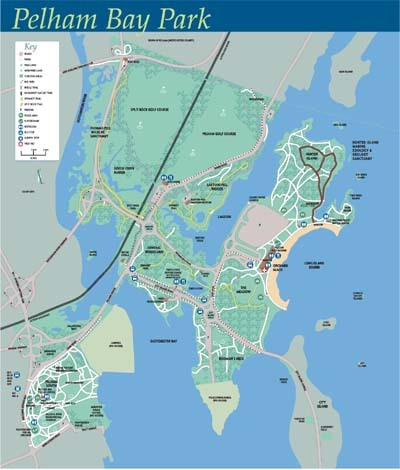 Once we gave up on finding owls by the golf course or the mansion we headed over to the Orchard Beach parking lot and walked north onto Hunter Island, which isn’t an island anymore as it was connected to the mainland by fill quite some time ago and now is a rather chunky peninsula. We were looking for what Mike termed the “magical grove” which he described as being comprised of pine trees with at least one owl perched in each (at least that is what Charlie and I heard). Well, after slogging through the still-falling snow and getting thoroughly soaked through we managed to find the “magical grove.” And there were plenty of pine trees but no owls at all. The good news is that we did get Charlie his year American Black Duck in the lagoon between Hunter Island and the mainland as we drove away. The bad news is that our next stop, which Mike will be telling us all about, had even worse weather! Yip the elusive owls – I feel your pain. I spent last weekedn looking for Saw Whet and all I found were brambles sticking into my leg. At least I did find some LEOs. Hoping to make a return flight later this week to track down a Saw Whet and some Short eareds. What the heck are you complaining about?? I did see Rusty Blackbirds in Canada way back in 1987/88, but found NONE in May 2005 and again absolutely ZERO during my year in Michigan from October 2006 to September 2007. Who’d get upset about dipping on owls and negotiating a bit of snow when they can look at number of (!) Rusty Blackbirds!?! 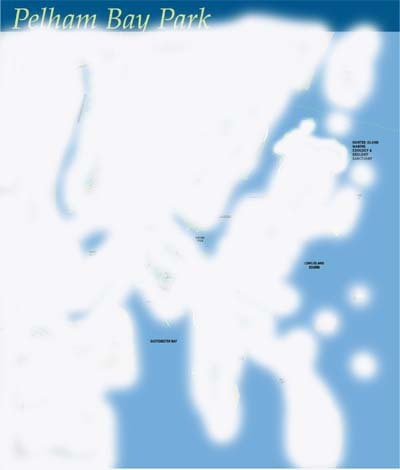 Very funny and I love your photo of the map with what you saw (being white)! Made me laugh! @Owlman: Owling is unfruitful waaaay too often…which is why finding an owl is such a joy!